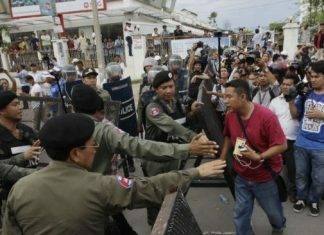 Home News Are China’s gifts a blessing or a curse for Cambodia? This year marks the 60th anniversary of Cambodia–China diplomatic ties, and the relationship between the two countries has never been closer. China is increasingly becoming Cambodia’s most important economic and diplomatic partner. In the last two years alone, Cambodia signed more than 30 bilateral agreements with China. 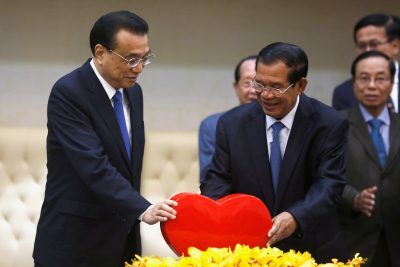 China was Cambodia’s largest foreign direct investor for five straight years from 2013 to 2017, with Chinese investment in the country totalling US$5.3 billion over that period. In 2017, Cambodia attracted fixed-asset investment of US$1.4 billion from China, which alone accounted for 27 per cent of total investment in Cambodia. Bilateral trade between Cambodia and China reached more than US$5.1 billion in 2017. Cambodian exports to China consisted mostly of agricultural products like rice, cassava, cashew nuts, palm oil and rubber, while imports from China to Cambodia were mainly cars, motorcycles, construction materials, fabric, cigarettes and fertilisers.